ornaments they had spent time during the week creating for the event. 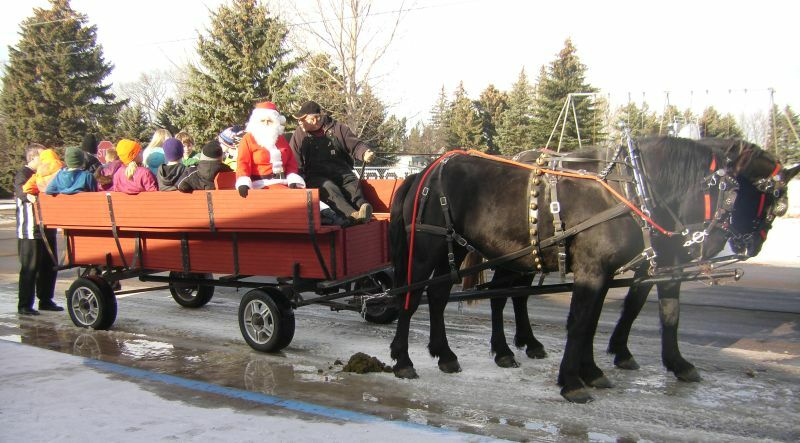 The children arrived in a horse drawn wagon provided and driven by Bob Bartz of Anamoose. 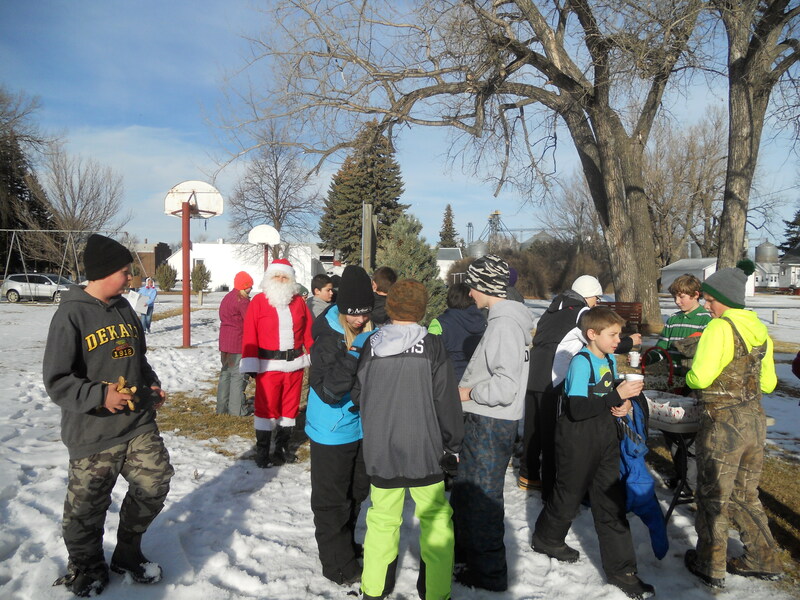 The Park Board provided hot chocolate and home baked cookies along with a gift from Santa’s helper (Judy Schmaltz). 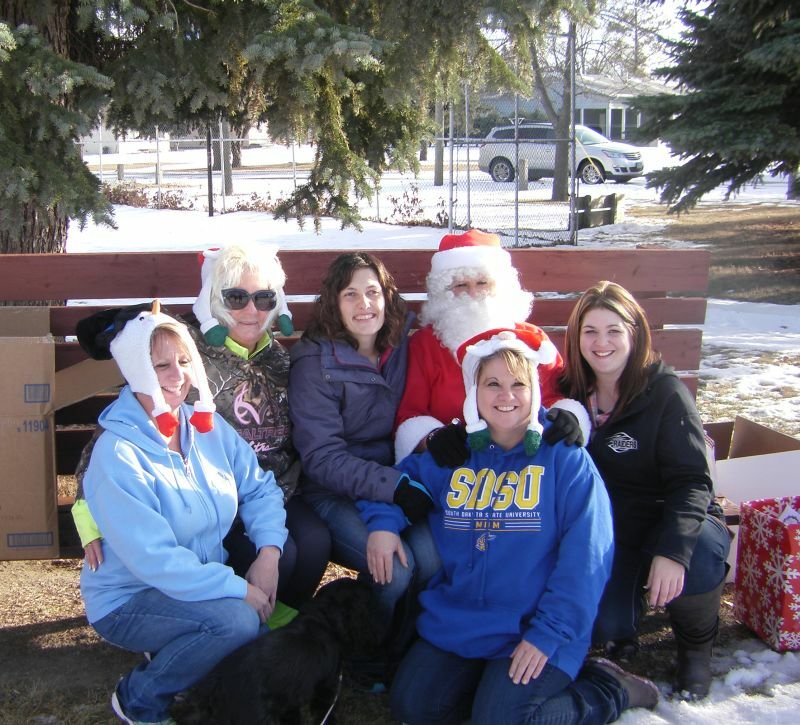 The gifts were provided by Velva Farmers Union – Anamoose Branch and gift bags were provided by the Anamoose Civic Club. They decorated, they sang, they built a snowman and they all made a joyous noise for the season! Fun was had by all kids and grown-up helpers alike! As I stood by observing this jolly scene, I heard so many kids and adults say to Park Board members as they were leaving the park after the chocolate and tree trimming, a very big thank you! It was very clear that this event was much appreciated by those in attendance. Hope to see this event continue to spread good cheer in future Christmas’! The tree stands proudly and brightly lit in the center of the City Park, during the day showing off the ornaments placed there by the children and at night twinkling for all to see. I have been informed that I have the wrong Bartz driving the horses! It should read Ron Bartz! AND – Monica Schmidt volunteered her time and energy to help the Park Board, but is not a board member.